Before Rosh Hashanah the Rebbe would receive many thousands of letters known as Pan/Panim/a soulful letter. 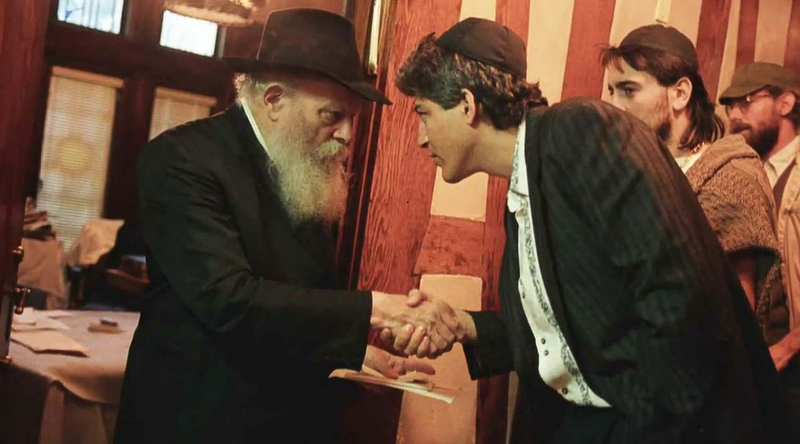 Some came by mail from all corners of the world, and he would also stand by the door of his office and accept these letters in person at designated times before Rosh Hashanah. It was very meaningful to pass by the Rebbe and hand him this soulful letter in person. The picture here is one example of such a Panim letter reception. The interior of Rebbe’s room is visible, in his hand are a few letters that he received from each passing visitor. But that visitor, for that moment, it is a connection frozen in time. Other times of the year, after responding to the letters each accordingly, the Rebbe would take these letters to the gravesite of (now the Ohel at Old Montefiore Cemetery in Queens where he also is buried alongside) his father-in-law, the previous Chabad Rebbe, where he would read each one, sometimes showing great visible emotion, then tear it and leave it at the Ohel gravesite. 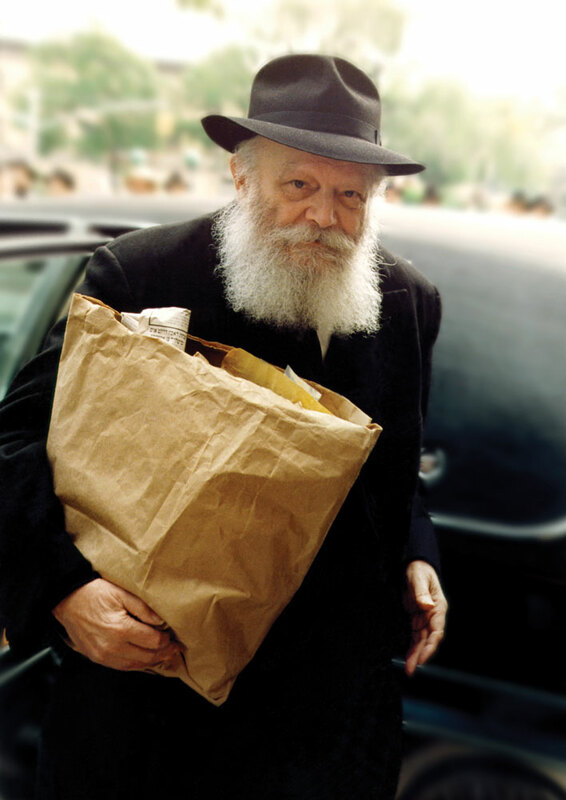 You can see many pictures of the Rebbe going to the Ohel holding big brown paper bags brimming with letters. Today, if you go to the Rebbe’s Ohel, you can look down and see thousands of such torn (for privacy) letters, written in all languages, in child and adult, that were read there with feeling. But on Rosh Hashanah, the letters were brought onto the Bima in the center of the synagogue where the Rebbe would blow Shofar. I remember the Bima filled with brown paper bags filled with heartfelt letters of the Jewish people. And it was from that pile of bags, from all those deeply personal letters, that the sound of the Rebbe’s Shofar arose. Seeing the paper bags and hearing the Rebbe’s Shofar rise from within them, helped me understand that the Shofar’s narrow straits are not only the narrowness of the mouthpiece, but the letters in those paper bags. Think of the life challenges and struggles in all those letters, people’s issues and concerns with family matters, livelihood and health, their spiritual struggles, mental issues, emotional stresses, their dreams and aspirations, their quests and yearnings. It is from that rich diversity of the individual stories of those letters that the sound and call of the Shofar arose. From those narrows, hoping and striving for the broadness of G-d’s response. Indeed, the Shofar sound is borne out of the voices of His people, the Shofar arises out of the letters, out of the story of people’s lives. And like the Rebbe who lovingly listened and read and felt and connected with each person, their letter and their story, G-d hears our Shofar sound with compassion!